I created a Gaming Steve Sporecast. I added tags but it seems that I have to drag and drop creatures into it. If you'd like to have some of creatures in the sporecast then please post a link here so I can easily add them. Please limit it to your most favorite 3. I think that's a fair amount. I'm also going to add any featured Gaming Steve creations. Thanks, here are my three. Here are mine. I'm going to plead everyone, if you like em, rate and comment. Tried to go with three of mine that animate well, look decent, and have good overall playability. Not really my favorite or my best. Three favourites is actually pretty generous, I'm having trouble finding my third one I love enough to include here! I can't wait to see how many times you guys blow these up. I'm quite fond of Trunack I guess. Wudadoo is adorable and awesome so I guess I'll go with him. Bah, the last one is very difficult. As much as I absolutely love Orette, I think I'm going to have to go for Tailon since it's more recognizable. Sorry for the limit but with so many people I want to be sure we have some from everyone. This will give me something to do while I wait for the game anyway. *edit: I added everyone above this post but it seems to be slow so give it time to show up. Any one of mine that has no darkness glitch that is any good. I know I haven't exactly posted here for very long, but I'd appreciate it if you could add a few of my creatures as well. Whenever the sporepedia comes back online I would like to switch one of my choices from the "Totem" to my newly edited "Disrulk", it looks super cool in its striking animation now, is this okay? I may have to wait until I get spore so that I can see how well they actually animate. I don't really have a favorite though. Sure, I'm just not adding any more until its up and working again. 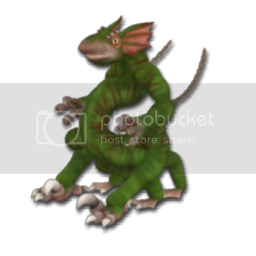 Teerp - My creature I planned pre-spore, even though his stats are awful I need to add him in there. Bopple Worms - One of my newer creatures that I adore. Waesope - It was hard choosing a third, but I like this little guy. There's no escape from mankind! I really would like to see some of my creatures as part of the GS Sporecast! Orphideus because it's one of my own favourites, the two others because they seem popular. It feels so terrible to exclude some of my favourites, but those who add me to their buddy list will see it all, no? Well, for some reason I can't upload my Disrulk creature in to the Sporepedia, and I've tried multiple times, so if anyone knows what the problem is and how to fix it that would be fantastic . But I still want to replace the one creature I chose "Totem" and since "Disrulk" isn't working I'd like to submit "Ombacula" instead . 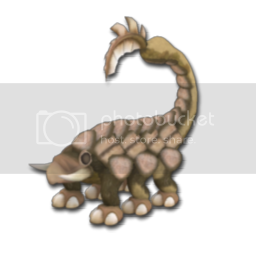 Check out my Spore creations. Of course I have to start with Cimchomp! Octor who has gotten my second most amount of replies! Feel free to comment and rate up or down!! I'm still not able to update but as soon as I can, I'll continue to put your creatures in. Hmm... I think I'll choose..
http://www.spore.com/sporepedia#qry=sast-500010537928 Dragon entry in creative commissions. 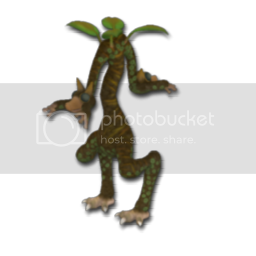 http://www.spore.com/sporepedia#qry=sast-500003793138 Creature I made when i was bored. I still can't seem to drag creatures into it so it's still on hold. You can keep posting though. I think I decided on my 3. Taking from a few stags with in the game. Avos Sapian: The creature I reached Space stage with. Firefly: It's a re-creation of a ship but I'm just real happy with how it turned out I ended up using it in my main game. Jaytopod: The 1st creature I made that I am truely happy with. If anyone thinks that another of my creations is any more worthy let me know I'll make a switch. One Creature, tribal outfitted, Buildings townhall house factory and entertainment, vehicles economic military and religious, and a spaceship. All for a single species of creature and all with a similar paint job. Works for me, just wish I could work on this. Then I'll stick with Jylotril, but I'll have Exploud and Golem, rather than Romniid and Atralonce. Took me a while to decide there. for the Kecleon, Poké Ball and Unown sets. Okay, I've updated and added all that posted. If something isn't right, let me know. I also randomly added some buildings and vehicles. I'm trying to get some variety in here, not playing favorites to anyone. I've also added some people who didn't post here, if you want to change something I have on here, then just let me know. We now have 121 items. Also I'd love to put together some other non-creature sporecasts from Gaming Steve members' content. If you guys are interested in contributing I can start a thread for each. We could get a good sample base to try and knock out some more of the base Maxis creations. What do you say? I've got 2 so far. I'm gonna be saving my last slot for when I get my Kratair to the Space Phase. Updated though I think sporepedia may have gone down about the time I finished. May I ask if you added the Snailie? I really want that in but I only saw 1 of my buildings and my Dark Dragon in there before. There is now 226 creations in the sporecast and only 20 subscribers. Ahem. Yes I think more people should be subscribing. There's plenty of people who keep asking for Gamingsteve sporecasts, but hey... here's one. Use it. An analog man lost in a digital age... cue the sad music. heres my 3 picks. i also subscribed. Here are Fan-Fic creatures that i made for others that i think should get in. There are more fan-fic creatures out there too that should be added as well. I subscribed last night... I didn't even realize you were accepting submissions. Thanks! Is this still Creatures Only? Just FYI... I just realized there is a gamingsteve sporecast and a gaming (space) steve sporecast. LadyM's is the one with the space in it. I just realized I was subscribed to the wrong podcast! People should double check. No, it's for all creations. Also, sporecast has been updated. I game still says 20 subscribers so I guess it's not correct. Yay. To be honest, my creatures are some of my worst creations, even though I love so many of them others seem to not like them at all. T'is sad. The Great God Incarnate - Having conquered all of their enemies the Empire of the Great God, formerly the Nation of Blurgeddia, set off into the heavens to convert or conquer all non-believers. There is only the Way of the Great Serpent God. The Way of the Spode. The Bloge Theatre - Not the Globe Theatre... but the Bloge Theatre! It's not a rip off at all. Bah... it was to hard to pick with the limit of 3 creations. :-p The only iffy thing is the Beetle Bomber.. I love how it came out and it's one of my more recent creations, but others might not appreciate it... especially without the full set of vehicles. Like the Speed Tank and the Death Wheel. Done, were up to about 335 now. would it be possible to get you to add something or do i have to replace something there? No you can add more, I just didn't want too many from one person. I've also been randomly adding things from the Sporepedia pages of members. I'd like it to be a real mix of member creations. Wow, you added Money Bird, that was a surprise. It was, in fact, my first vehicle I ever made. I hadn't even touched it before hand, either. Glad it was good enough to add. Froman, I added the first 3 you listed. Sporecast is caught up now. I thoughtlessly deleted one of my three creatures. Please add in the Snoligoster in it's place. Ah yes, I registered to this sporecast earlier. Considering I have now 350 creations, just choosing three was rather tough! Hello there! I subscribed to the Sporecast, and I would love to have some of my creations added too! S-Opera MAV-01. Only the boat part is above water! You have to see it in-game to "get" it. And you have to read the description to understand the weird name! Estren Hovank. It is a military ground vehicle, and it's VERY fast! I'm planning on making more "Estren" stuff. Droas. My latest creation! It is a military aircraft, it is 100% speed (90 points of speed!). Like my other creations, I made a fancy description for it . I'm really proud of my vehicles! Edit: Weird, looks like Sporepedia is having some problems to load creation images, sometimes the images simply don't load! Edit 2: Fixed a spelling mistake.